San Diego Comic-Con starts on Thursday - with a Preview Night tomorrow - which means one thing for the convention center staff: Construction. 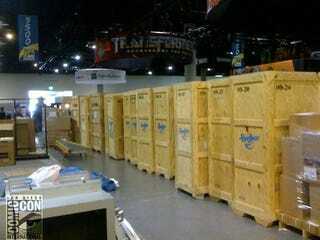 Courtesy of Comic-Con's Twitter feed, here's what the main floor looks like now. Click through for more.